Dr. Marotta is a native Virginian. He and his wife, Susie, have four children and are enjoying a family that continues to grow. He is a graduate of M.I.T. and the University of Virginia Medical School. He was elected into the UVa Medical School Honor Society and was chief resident at the UVa Family Practice Residency Program. He was elected into “Best Doctors in America” in 2005. 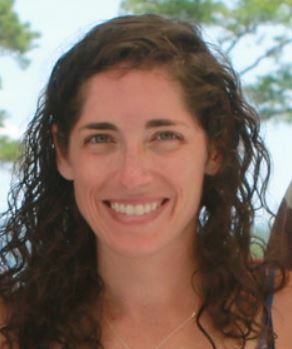 Dr. Marotta is a member of the UVa Family Medicine faculty and continues to teach medical school students in the office and on rounds at Martha Jefferson Hospital. His special interests include family-centered obstetrics, adolescent medicine, sports medicine, and office-based medical procedures. Dr. Marotta enjoys the beach and playing and coaching soccer. The Marottas love the outdoors and are active members of Trinity Presbyterian Church. Dr. Stump was born and raised in Charlottesville before graduating from Georgia Institute of Technology with a Bachelor’s of Science in mechanical engineering. 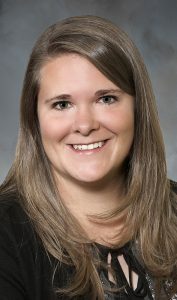 She then pursued her love of medicine by attending the University of Virginia School of Medicine and completing her residency at Montana Family Medicine Residency in Billings, MT where she became chief resident. During her time out west, Laura completed wilderness survival medicine and is particularly interested in women’s health and pediatrics. Laura is board certified in Family Medicine and excited to be practicing in her hometown. In her spare time, she loves hiking, skiing, cooking and spending time with friends, family, and her dog Stevie. Kibble was raised on the Eastern Shore of Maryland. She graduated with honors from Clemson University in South Carolina with a Bachelor of Science in Nursing. After graduation, Kibble spent ten years practicing as a critical care nurse in a variety of specialty fields. She then went on to obtain her Masters of Science in Nursing from Ball State University in Muncie, Indiana and is certified as a Family Nurse Practitioner. Kibble is a member of the American Association of Nurse Practitioners, as well as, the Virginia Council of Nurse Practitioners. Since moving to the Charlottesville area in 2008, Kibble and her husband, Jon, enjoy spending quality time with their daughter and son, traveling as a family, and being actively involved in Portico Church in Charlottesville. Gail received her RN training at St. Luke’s School of Nursing and her Bachelor’s of Nursing at Coe College in Cedar Rapids, Iowa. She received a Master of Science in Nursing and Family Nurse Practitioner education at the University of Virginia. She enjoys most sports activities and competes nationally in Masters crew with the Rivanna Rowing Club. Gail and her family attend Grace Community Church. Stephanie grew up in Orange, Virginia and graduated from James Madison University in 2012 with her Bachelor of Science in Nursing. She has worked as a Registered Nurse at UVA Medical Center for six years. Stephanie completed her Master of Science in Nursing/Family Nurse Practitioner program at the University of Virginia and graduated in May 2018. She is a member of the American Association of Nurse Practitioners. She is married to her husband, Elliott, and enjoys spending time with her dog Kobe, who is a blue tick hound/blue heeler mix. She enjoys playing sports, hiking, kayaking, running, spending time with friends and family, and traveling. Maggie is a graduate of the University of Virginia School of Nursing and worked at UVA as an RN in critical care for the past 5 years. 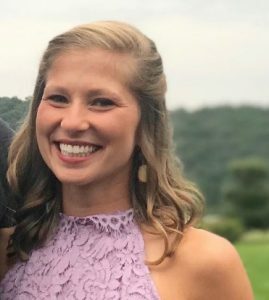 She completed her Masters in Nursing at UVA as well and is excited to be joining Family Medicine of Albemarle as an FNP! Maggie and her fiance live in Charlottesville where they enjoy being outdoors and spending time with friends and family. In her free time, Maggie enjoys running, gardening, reading, and spoiling her pets.